During this 7 Days Primates Tour, Gorilla Trekking, Chimpanzee Tracking to Uganda you will visit Kibale National Park, Queen Elizabeth National Park and Bwindi Forest Park. You will take part in the activities that take place while at these parks for a wonderful experience. 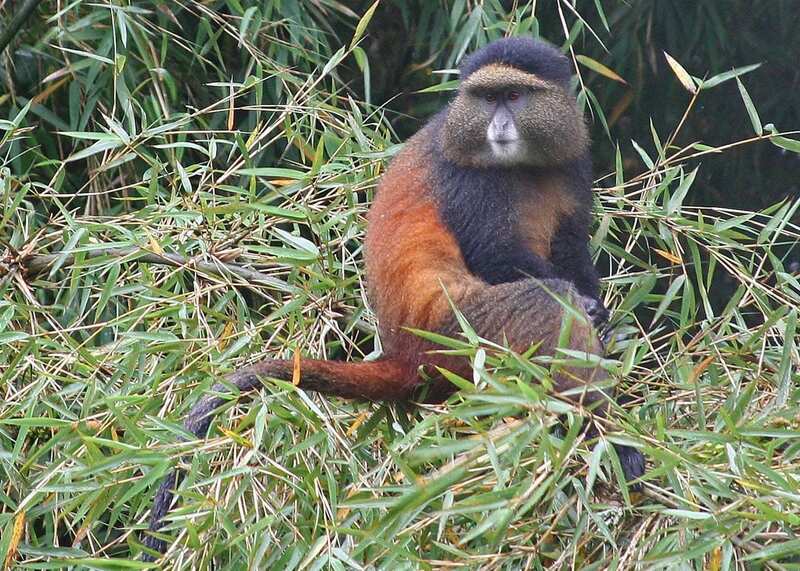 7 days Uganda and Rwanda primates tour. Day 1: Arrive Kigali Airport. Arrive Kigali airport to meet our company representative who will transfer you to the you hotel in Rwanda Kigali. Overnight at Basic- Chezlando hotel, modarate Gorillas golf hotel, Luxury Serena Kigali hotel. Day 2: Transfer to Volcanoes park. In the morning after breakfast, you will go visit the genocide memorial and national museum, before you embark on the 3 hours journey to Volcanoes park. Arrive the park in the afternoon, and then go visit the Twin lakes or the Iby’iwacu community. Overnight at Basic- Kinigi Guest House , Moderate – Five volcanoes hotel, Luxury – Sabyinyo silverback lodge. Day 3: Golden Monkey Trek/ Transfer to Uganda Bwindi. In the morning right after breakfast, transfer to the park headquarters for briefing. After briefing through the rest you will start your search for golden monkeys. The trek takes between 2 to 4 hours and then later return in time for lunch. Have lunch and then embark on the 4 to 5 hours jour to Uganda. Overnight at Basic- Gorilla valley Lodge , Moderate – Nkuringo gorilla safari lodge / Ichumbi gorilla lodge , Luxury – Clouds lodge. Day 4: Gorilla trekking in Uganda. Wake up early in the morning, have breakfast and with packed lunch, depart to the park headquarters for briefing about the gorilla trip rules and regulations .Set off for the trekking into the tropical rain forest in search for the habituated gorilla groups. See how they feed, how they play with their young ones. This is the most magnificent wildlife experiences one can have by getting close to the animals to get a good study. If you wish to trek the simpler Gorilla Group always inform your guide who will inform the park rangers to allocate you the Gorilla family that you can manage to trek. Gorilla trekking time ranges between 2 to 8 hours. After gorilla tracking and encounter, stay with the gorillas for 1 hour and then and trek back to the starting Point. Overnight at your previous lodge. Day 5: Transfer to Queen Elizabeth Park. Boat cruise along the Kazinga Channel. In the morning right after breakfast, you will drive to transfer to Queen Elizabeth national park. The drive takes you through the Ishasha sector, and therefore you should watch out for tree climbing lions. Arrive the park in the afternoon, and the gorilla for a boat ride on Kazinga channel.. Overnight at basic- Bush lodge Moderate – Ihamba safari lodge , Luxury – Mweya safari lodge. Day 6: Game drive / Transfer to Fortportal Kibale National park. In the morning before sunrise, go for a game drive in the park to catch the early risers including carnivores. Thereafter, you will drive to transfer to Fortportal Kibale which is just 3 hours away. Overnight at Basci- Kibale forest camp , Moderate – Mountains of the moon hotel, Luxury – Kyaninga lodge. Day 7; Chimpanzee trekking\ Transfer to Kampala.